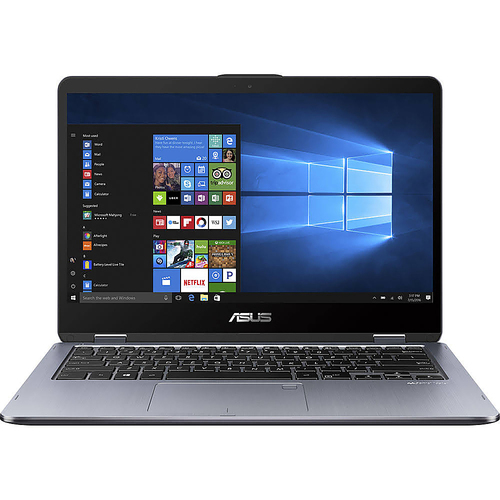 ASUS VivoBook Flip 14 TP412UA Convertible 2-in-1 Laptop: The ASUS VivoBook Flip 14 is a convertible laptop that features the extremely narrow ASUS NanoEdge bezel, allowing its 14-inch Full HD display to fit into a typical 13-inch laptop frame. The slim and lightweight VivoBook Flip 14 is designed to suit any occasion. Use it as a stylish laptop, a handy tablet – or anything in between.